Birthdays, holidays, family get-togethers… Has this year been packed full of social events? Why not make a photo calendar of all those moments? Ask your friends or family to send you their favourite photos of you all together and create a photo calendar with your shared memories! You can then order multiple copies of your calendar for everyone who contributed photos. It’s the perfect Christmas gift! 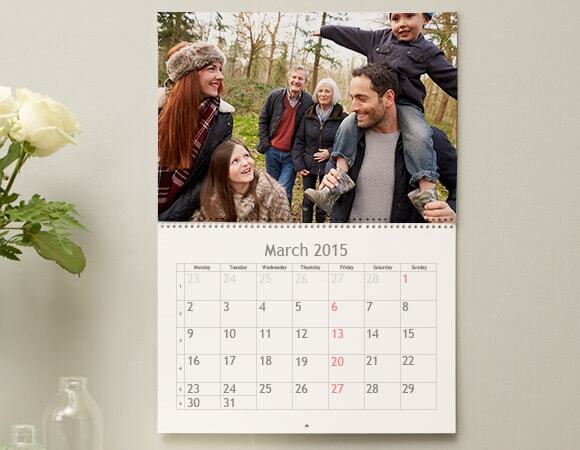 Ask your loved ones to share their photos with you and make a photo calendar that will be cherished by the entire family. By having everyone send in their favourite photo, you make sure everyone feels equally special and the calendar becomes personal for everyone. Collect photos from every family dinner, birthday party and other celebration and put them in a photo calendar to represents all of these good memories! Add photos from family outings! Are you part of a group of friends who do everything together? 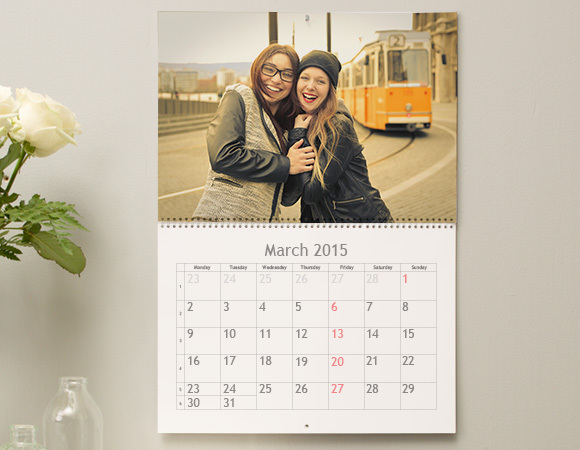 Celebrate your friendship with a photo calendar! Ask your friends to share with you their favourite photos of the gang or from your last vacation together. The calendar will become a cherished reminder the past year you spent together. And of course, everyone will want one! Use a photo from a trip you took together! Ready to get started? Pick your calendar and start creating!